Hello crafty friends! 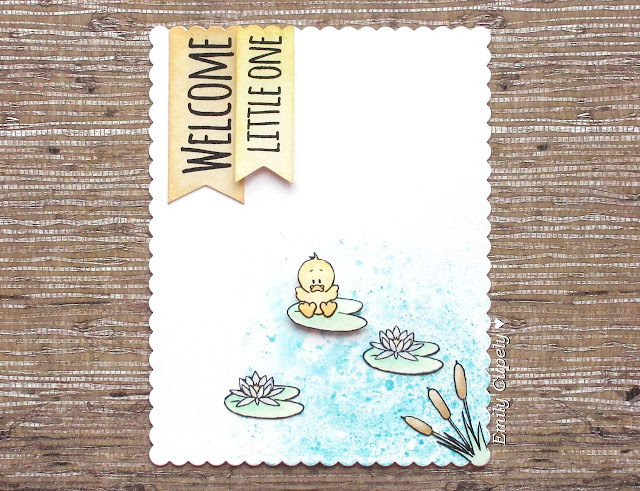 It's Jess from JessCrafts.com and today I'm sharing a card featuring some doodling and the Blast Off clear stamp set. I created a scene using my AmazaPens Twin Tip markers and placed the spaceship from Blast Off in the center. Since the AmazaPens are water soluble they bled when I added the Irresistible glitter on top to create a fun flame effect that is quite sparkly in real life. 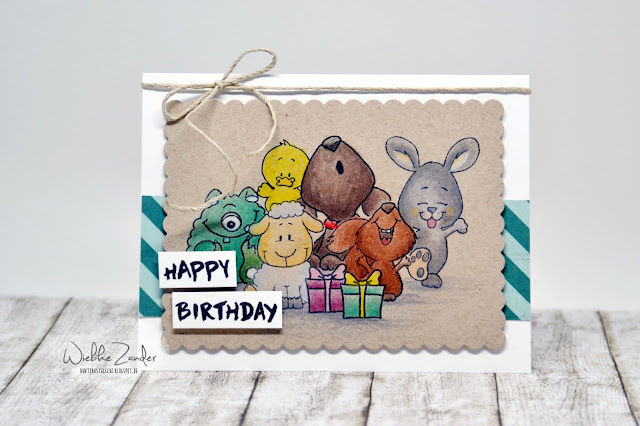 Remember to share your creations with us over in our Facebook group and join in on the Progressive Challenge each month if you love Gerda Steiner's digi stamps! 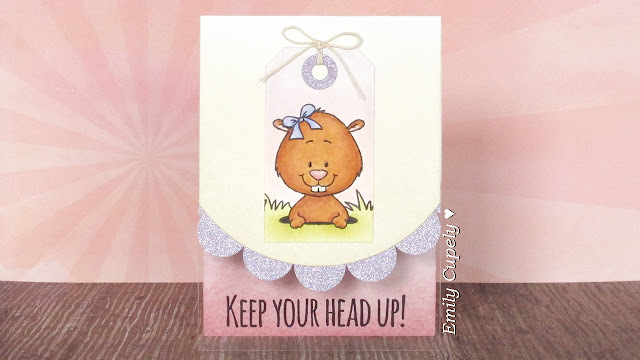 Labels: Emily Cupely, Gopher it! It's Yolanda here, from Scraping Time!! 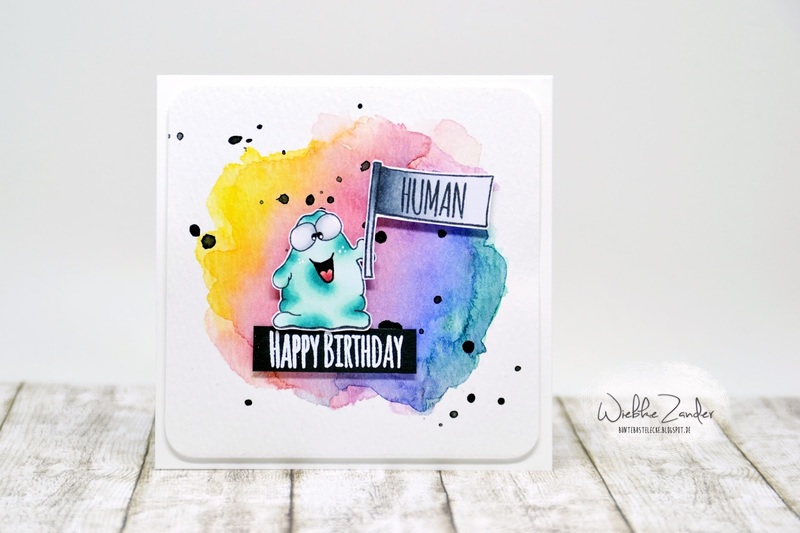 I am sure that you really enjoyed our Blog Hop since the new stamps sets are just out of this world!! I know I will use them a lot since I can't stop thinking about different scenes to create, but today, I want to finish the game I started fifteen days ago with my crafty friends on Facebook. Then they proposed me three topics to work with it: you had a bad day, book day and the last one: Mother Day. Here in Spain we celebrate it on the first Sunday of May so it is going to be very soon. I thought about it and I decided to use two siblings for my scene! They were going to say something nice to their mom! First of all, I die cut a false stitched rectangle on a white cardstock and I inked some clouds with Memento Blue Sky Ink. Then, I die cut my pink grass in two different decorated papers from Lawn Fawn. After that, I set my dogs with foam squares on the grass. I added some Wink of Stella Clear and Glossy accents on the noses and the dog collar. And it was time to stamp the sentiment. I die cut a cloud and a balloon bubble and I stamped both sentiments. 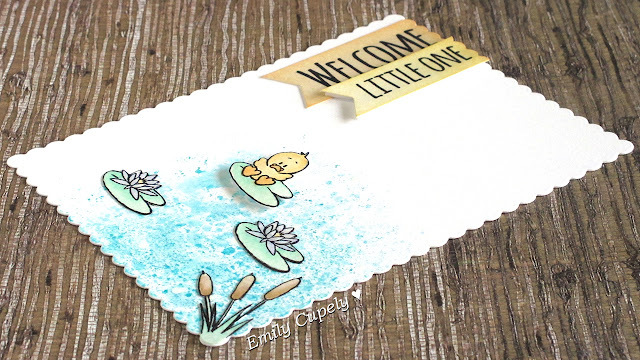 The first one is from the Happy Hoppy 4x6 Bunny Stamp Set (You are simply the best) and the second one is a mixture of a couple of sets. 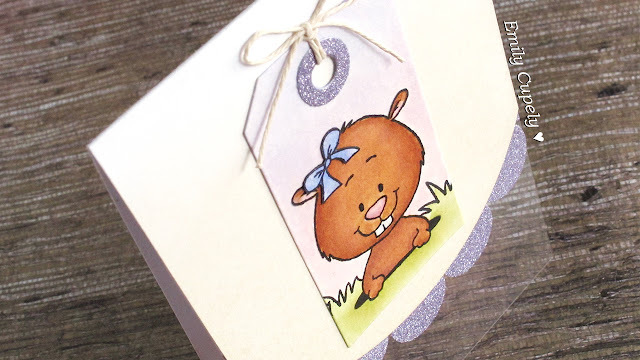 Firstly, I stamped the "love you" stamp from the "Brush bunny" stamp set and I added a couple of "u" since I really love the idea of the original set where the dog is singing Happy Birthday to youuuuuuuuuuu!!! And I thought it could be cute to copy it! But... I haven't got any alphabet or sentiment with the same font that the ones I had used so I look at the set carefully and I realised I could make it! Then I stamped the two first letters from Wonderful (WO) upside down and I stamped again the W to read MOM. 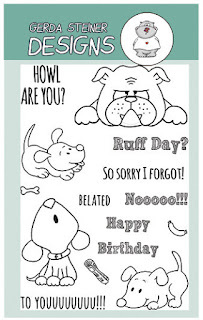 I hope you enjoyed with this card and see you soooooooooooooon!!! Hey everyone! It's Wiebke here today! Have you already joined our "From Outer Space" Release Blog Hop?! If not, you should jump right into the first stop (right here) of the hop and look at all of these fantastic masterpieces! 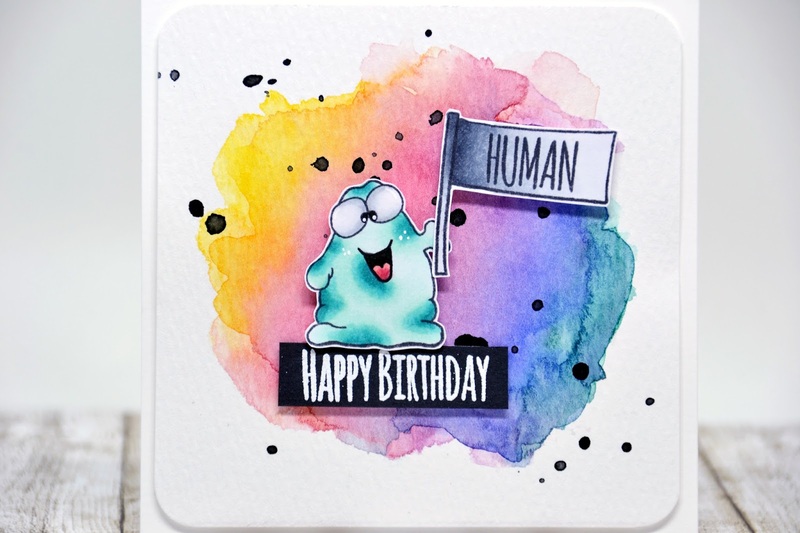 We had such a blast creating cards with the two new stamp sets Alien Invasion and Blast Off! Therefore, I grabbed the amazing Alien Invasion set again for today! I just LOVE it, I think it might get my favorite set of all time :) You have so many great possibilities for any kind of cards! 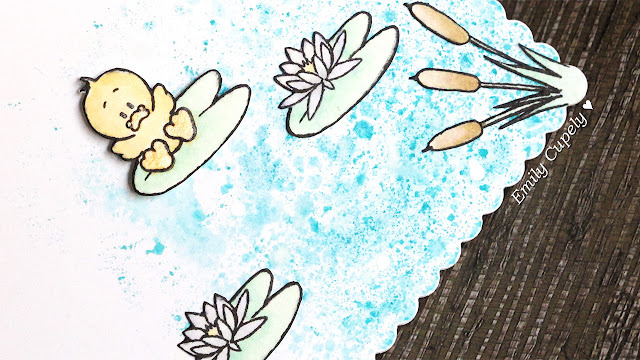 First of all, I created a colorful watercolor background - I also sprinkled some black droplets on it to get some contrast. It should look at least a little bit like a galaxy and the galaxy is full of beautiful colors and black! Then I placed my little Alien on his heat embossed birthday banner (after I added the mouth, which you can customize). Some of the sentiments perfectly fit into the little flag - that's pretty cool! That's it from me today :) I hope you liked it! 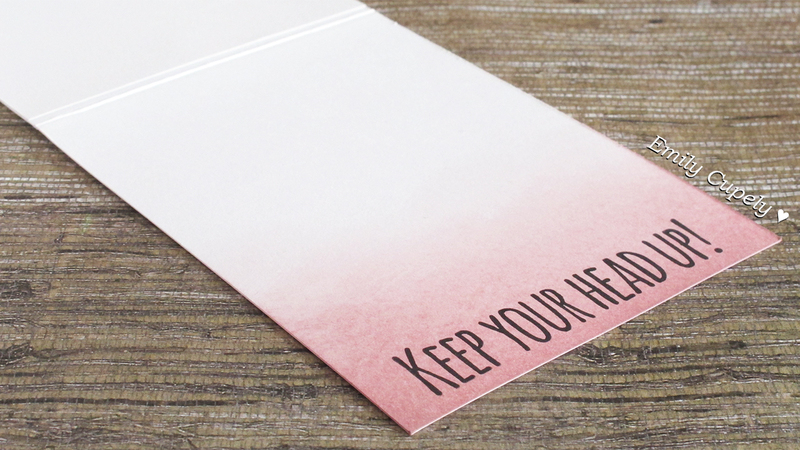 And if you're looking for much more inspiration, I highly recommend to visit our release blog hop from Saturday. Hello crafty friends! It's Jess from JessCrafts.com and today I'm sharing a clean and simple note card with the Just Sentiments clear stamp set. 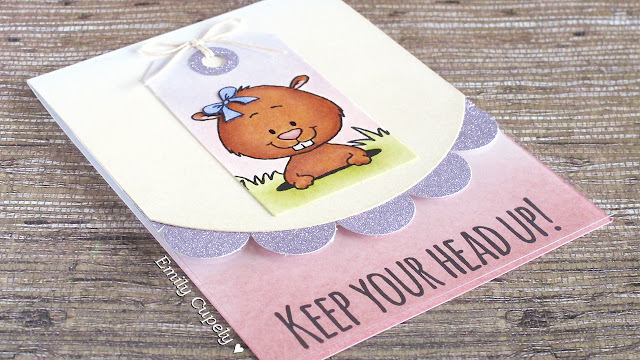 I am preparing a fun video for the upcoming blog hop and so I don't have a video for this card today. As you can see it's a pretty straightforward design though. Simple mask off a strip with something like Delicate Surface Painter's Tape or Post It Note Tape and then stamp the little notes from the set all over the background. I chose to use the Hero Arts Neon Ombre Ink pads because they are so bright. Then I lifted up the masking and stamped the coordinating sentiment. 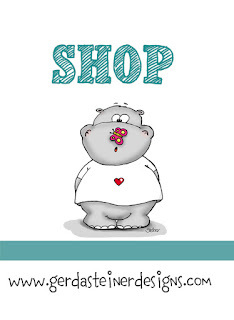 I can't wait to see all the fabulous inspiration that will be in the upcoming blog hop. 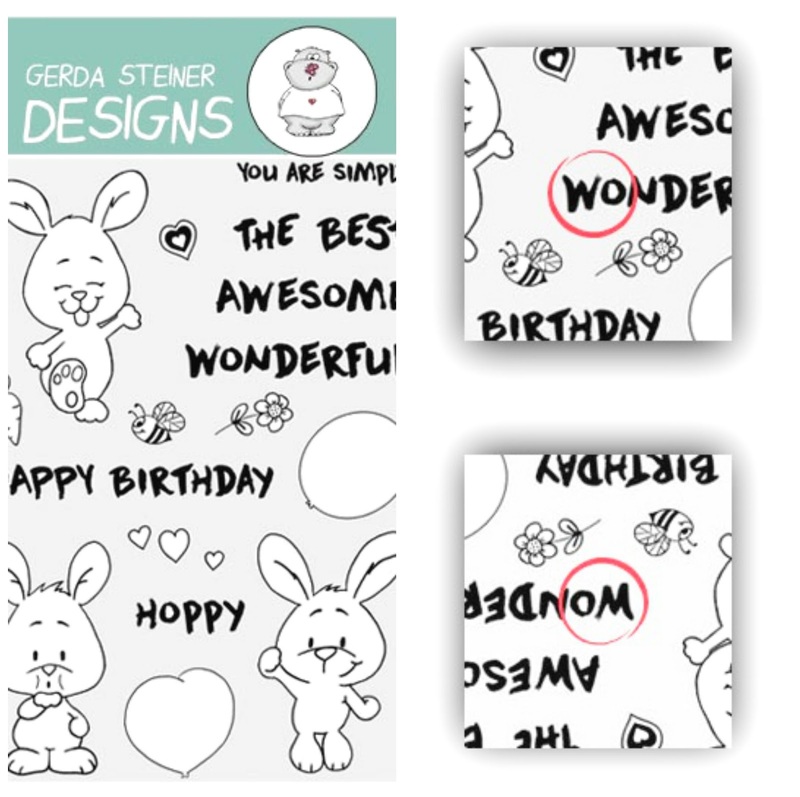 I showed them 5 stamps sets from Gerda Steiner Designs and I told them that I would work with the one who got more "likes" during the weekend for this post! And the first one was the "Howl are you? Puppy Clearstamp Set" followed by the "Lucky duck 4x6 Clearstamp set". Then, I started working with the dogs and I also accepted the challenge to make a project with the topic they suggested there! There were three main topics on the comments! 2. Pilar Cruz suggested: Happy mother's day! 3. Aroa Blanco suggested: Book day. I decided to make something with them. I will show you one today and the second one in my next post. When a read "book day" I thought: whattttttt???? Dogs and book day????? You must be joking! hahaha but I decided to accept the challenge and this is what I made mixing it with the first suggestion! Yes, it is a bookmark! We are going to celebrate Book Day on next 23rd April and this can be a good present for a friend. I made the book mark thinking that the dog would be over the book all the time. So I stick it on the up border with double side tape, once I made the bookmark. I love that cuttie traying to relax after a a "ruff day" Isn't it sweet???? I never thought about using this set for this purpose but I really enjoyed thinking about it and making this bookmark! I think you can use any critter with the same structure. By the way, I coloured the dog with Spectrum Noir markers so I stamped again the dog on the same orange decorated paper, fussy cut it and stick it behind the dog to avoid seeing the marker on the back side of the dog. I hope you had a good time reading this post and of course, have a great week!! First of all, I created several masks for the critters and gifts standing in the front row. That way, you can stamp the others perfectly behind. After that, I colored them out with Polychromo pencils and went over the surface with baby oil. You'll get a darker, but well blended effect.